There are actually many different ways to cultivate potatoes in your Permaculture garden. You can choose one according to the available space and needs, whether you have a big backyard or your own small balcony, you will find here at least one idea that will interest you. The utube video below explores all these different methodologies so enjoy it but be very careful. The tube video also proposes the use of tires to grow potatoes. I used them in the past and understood how dangerous tyres can be. They are toxic and illegal in many countries so please, again, avoid their use in your Permaculture system. Enjoy the utube video below! 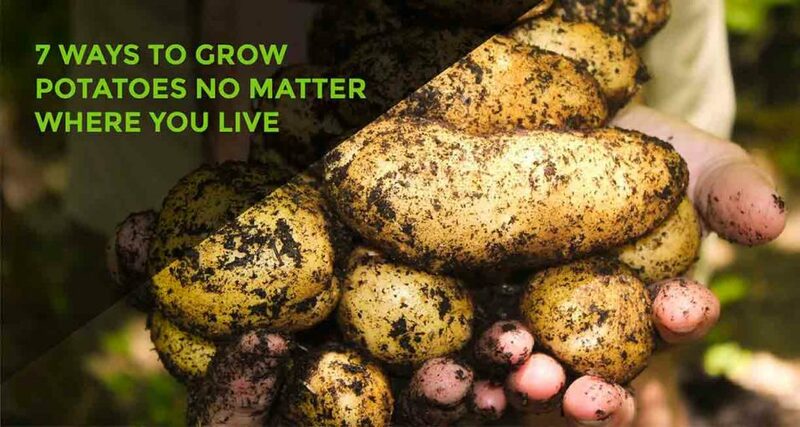 Be sure to share this post to inspire your friends and family to grow their potatoes! Remember to add always good compost, and Compost Tea or Worm Juice and to water your potatoes when necessary!